Being a team with designers who work all over the world, Paradigm understands the benefits and needs of remote teams. We believe that remote work has the power to help businesses grow faster, and doing it right is essential to furthering your company’s success. That’s why this month we’ve invited Ayush Jain, cofounder of Remote Panda to talk about his business and why it’s so important. The Silicon Valley Bank startup outlook survey showed that up to 91% of startups report challenges with finding good talent. In 2019 the situation won’t improve. The startup economy is going north which is good news, though the talent pool may not grow as fast and the simple economics of supply and demand already has the writing on the wall. San Francisco and the whole of bay area have a greater density of software engineers than anywhere else in the world and yet, even they are not enough to meet the needs of the companies there. No doubt, there will be a talent crunch in 2019. 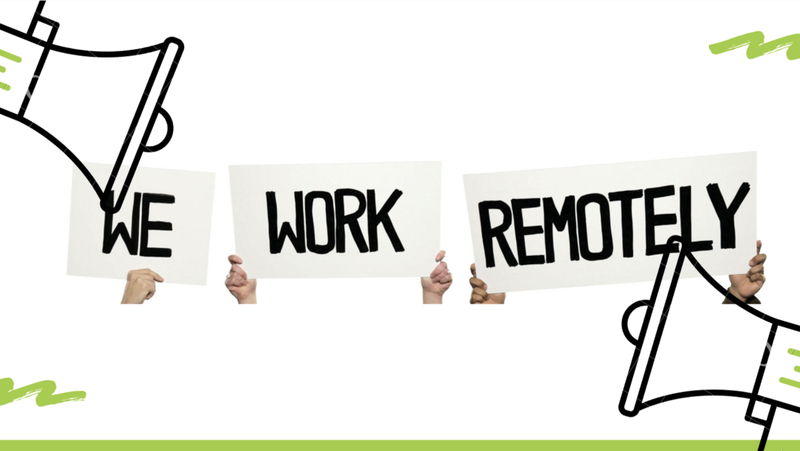 Remote Work is a growing trend; whatever strategy one could be following to build their company, they cannot ignore considering Remote Workers anymore. Top companies like Automattic, Buffer, Edgar, Groove, Ghost, InVision, Hubstaff, Toggl, Doist, Zapier, Toptal, Trello, Basecamp, are among the ones that equip 100% remote teams (Zapier Blog). At a work from home (WFH) experiment done by Nasdaq listed firm Ctrip, call center employees who volunteered to WFH were randomly assigned either to work from home or in the office for nine months. Home working led to a 13% performance increase, of which 9% was from working more minutes per shift (fewer breaks and sick days) and 4% from more calls per minute (attributed to a quieter and more convenient working environment). 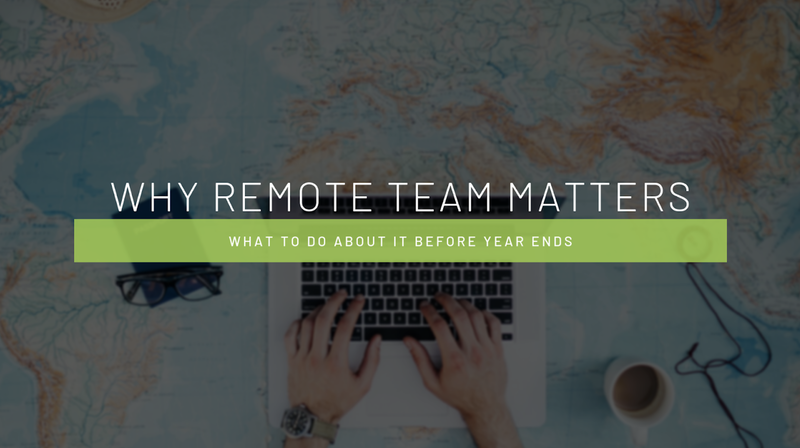 This means whatever you are doing—if you are planning to build a better 2019 for your company, having a remote team or starting to build one could be your edge against the incumbents who can spend more than you. Thought remote work is still unconventional, you have a chance to get an edge on the competition by implementing it today. For most startups, the value lies in being able to achieve things working out of a garage that an army of people in a glittery headquarter could not achieve. Smaller teams have a more intangible advantage. They work closely together, are cross functional, highly motivated team and even share pizza more often than a large company. The problem is — This closely working, cross functional, highly motivated team is not always in the neighborhood and sometimes may not be willing to move nearer. So what should one do? Defy the guys that are far-away and make it work with the ones available around or make the effort to make it work? I believe most will choose “Make it work” , and that’s why, it’s super important that in 2019 we learn how to “make it work”. This means learning how to build cross cultural/remote teams and how to work with them. The first thing to any initiative is really committing to doing it. Hence, make up your mind that this is a strategy your team is going to take up. Talk about the topic in the team, take opinions and make sure that everyone is onboard. Communicating the overall objective to the team is essential as it provides a focal point for the whole team. Make sure that you understand that this may be a change to the way work usually flows in your team. Having a remote partner may mean adjustment to working hours or bringing in an additional person who can lead the team. The best way to absorb culture is to live it up. Why not take a leisure trip to places that potential seem to be where your target devs will be? You can also arrange for a few in-person meetings as well, while on the way. So plan out. Get Started and if you would like to speak with me and discuss more, feel free to reach out on ayush@remotepanda.com. The author is founder of a remote work market place—RemotePanda. RemotePanda is the saner, calmer and organized way to outsource your needs. Our concierge service means you have someone to take care of your needs right from recruitment to hiring and throughout the project. We set the KPIs for the work and build accountability within the process for the remote worker. Check RemotePanda.com for more details.